Brand new and genuine Lear LAM-B A2189009103 for Mercedes Benz. LED Daytime Running Light DRL headlight control unit. Mercedes-Benz B-Class W242 W246 2011, 2012, 2013, 2014. Mercedes-Benz C-Class W204 S204 C204 2010, 2011, 2012, 2013, 2014. Mercedes-Benz CLS-Class W218 X219 2011, 2012, 2013, 2014 with Bi-Xenon headlights. Mercedes-Benz GLK-Class X204 2012, 2013, 2014. 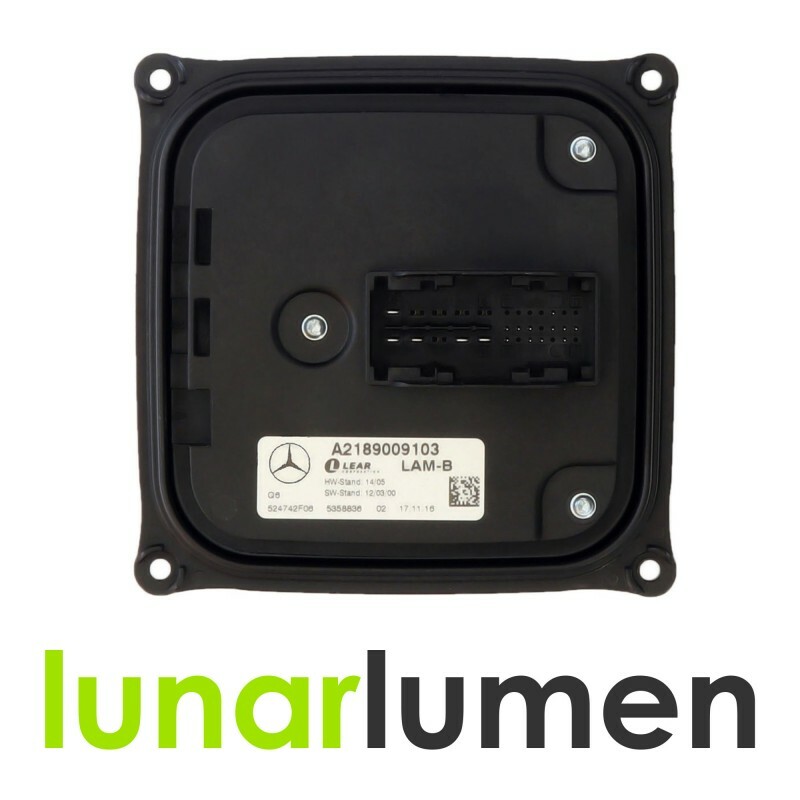 All Mercedes Intelligent Light System parts needs be fitted by professional service and should be coded properly.